Our fire safety pros also run training sessions to make sure you and your employees can handle a dangerous fire situation if one comes up. Call 207-278-3000 to schedule a training at your office. Our owner, Chris, worked as a contractor for more than 20 years. After he retired from the general contracting trade, he bought his friend's fire protection company. He's now in his fifth year of business at Morris Fire Protection. We work with business owners throughout the Garland, Maine and the Downeast area providing fire extinguishers and fire safety training's with excellent customer service. We've built our family-owned company on our superior service, and we work hard to maintain our reputation. Reach out to us to learn more about our fire extinguisher sales and fire safety training sessions in your area. Morris Fire Protection offers statewide service for fire extinguishers, kitchen fire systems and marine fire systems. 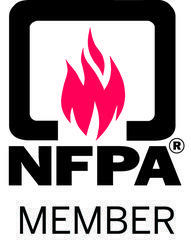 We'll make sure your systems stay compliant with the National Fire Protection Association. We serve the northern, central and eastern areas of the state including Moosehead Lake, Acadia and Garland, ME. Call 207-278-3000 to speak with a fire safety expert about your company's specific needs.